Meanwhile, FINRA barred five brokers for a sham private placement offering. Among recent enforcement actions, the Financial Industry Regulatory Authority barred five brokers from the same firm for fraudulent note sales; a joint state/federal investigation resulted in a $136 million multistate settlement from Chase over its credit card debt collection methods; and the Securities and Exchange Commission stopped one pyramid/Ponzi scheme that was hitting Spanish and Portuguese-speaking communities and another Ponzi scheme focused on Chinese-Americans and EB-5 investors. Eric Schneiderman, the attorney general for New York state, has announced that Chase Bank USA N.A. and Chase Bankcard Services Inc. have agreed to reform credit card debt collection practices through a $136 million joint state/federal settlement with Schneiderman, attorneys general in 46 other states plus the District of Columbia and the Consumer Financial Protection Bureau. The settlement is expected to net $5.95 million in restitution to approximately 5,300 Chase customers impacted across New York, and an additional $11.27 million will be paid to New York state. 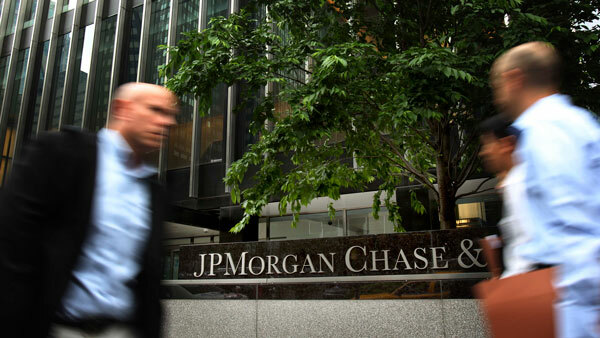 According to the joint investigation, Chase subjected consumers to collections activity for accounts that were not theirs, in amounts that were incorrect or uncollectable. It also subjected consumers to inaccurate credit reporting and unlawful judgments that could impair their future ability to get credit, employment, housing and insurance. In addition, Chase sold certain accounts to debt buyers that were inaccurate, settled, discharged in bankruptcy, not owed by the consumer, or otherwise uncollectable. It also filed lawsuits and obtained judgments against consumers using false and deceptive affidavits and other documents that were robosigned. This forced consumers to pay debts they did not owe or amounts that were not correct, or else incur legal expenses and court fees to defend themselves against invalid or excessive claims. It also made calculation errors when filing debt collection lawsuits that sometimes resulted in judgments against consumers for incorrect amounts. Chase will pay more than $95 million to the 47 participating states and the District of Columbia, an additional $11 million to the executive committee states that conducted the investigation and settlement negotiations, and $30 million to the CFPB. It also is already on the hook for $50 million in restitution ordered by a 2013 consent order reached with the Office of the Comptroller of the Currency. If it fails to make good on that $50 million by July 1, 2016, Chase must pay the remaining balance to state attorneys general and the CFPB. FINRA has barred four brokers, all from HFP Capital Markets LLC (a firm that it expelled in 2014), for fraudulent sales of senior secured zero coupon notes issued by Metals, Milling and Mining LLC (MMM) in a private placement offering to 59 customers. A fifth broker is continuing litigation. Of course, no such return was achieved, and the brokers made no attempt to investigate the suitability of the “investment” nor pursue red flags about its risks. Instead, they misrepresented the facts about the notes to clients who then bought the notes. The scheme brought in nearly $3 million in sales of the notes to customers who believed what the brokers told them. In November, a sixth broker who had been included in the original complaint, Joseph Scott Schaffer, consented to be barred for his conduct without admitting or denying wrongdoing. FINRA has barred four others, Jonah Engler (who also settled, in June, after a hearing), Jonathan Sheklow, Joshua Turney and Hector Perez (aka Bruce Johnson). Brett Ian Friedberg is continuing litigation. The SEC has announced fraud charges and an asset freeze against the operators of a pyramid and Ponzi scheme that promised a gold mine of investment opportunity to investors in Spanish- and Portuguese-speaking communities in Massachusetts, Florida and elsewhere in the U.S. According to the agency, DFRF Enterprises, named for its founder Daniel Fernandes Rojo Filho, claimed to operate more than 50 gold mines in Brazil and Africa, but the company’s income came only from selling membership interests to investors, not from mining gold. DFRF and Filho, along with several promoters, lured investors, claiming that investments were fully insured, that DFRF had a line of credit with a Swiss private bank, and that a quarter of the company’s profits were used for charitable work in Africa. Memberships were sold through meetings with prospective investors, mostly in Massachusetts hotel conference rooms, private homes and businesses. DFRF promoted the investment opportunity through online videos in which Filho claimed that the company had registered with the SEC and its stock would be publicly traded. As DFRF’s marketing reach widened, membership sales ballooned from under $100,000 in June 2014 to more than $4 million in March 2015 alone. The SEC says Filho, a Brazilian native who lives in Winter Garden, Florida, orchestrated the scheme with help from six promoters who were also charged: Wanderley Dalman of Revere, Massachusetts; Gaspar Jesus of Malden, Massachusetts; Eduardo Da Silva of Orlando, Florida; Heriberto Perez Valdes of Miami; Jeffrey Feldman of Boca Raton; and Romildo Da Cunha of Brazil. They brought in more than $15 million from at least 1,400 investors by recruiting new members, pyramid scheme style, to keep the fraud afloat, the SEC said. Commissions were paid to earlier investors in Ponzi-like fashion for their recruitment efforts. The SEC also said that Filho has withdrawn more than $6 million of investor funds to buy a fleet of luxury cars, among other personal expenses. The SEC has charged oil and gas company Luca International Group and its CEO, Bingqing Yiang, with running a $68 million Ponzi-like scheme and affinity fraud that targeted the Chinese-American community in California and investors in Asia, including some solicited as part of the EB-5 Immigrant Investor Program. According to the agency, Luca International conducted seminars for investors at the company’s offices and hotel conference rooms in California. In addition to targeting Chinese-American investors via advertisements in Chinese-language television, radio and newspaper outlets, Yang and Luca International also zeroed in on Chinese citizens looking for permanent U.S. residence through the EB-5 program, which provides a way for foreign investors to obtain a green card by meeting certain U.S. investment requirements. Yang knew that the company, far from making a profit, was drowning in debt, but her presentations to investors instead depicted a successful oil and gas operation with millions of barrels of oil reserves and billions of cubic feet in gas reserves. She claimed investment returns of 20%–30% a year, commingled investor funds to keep the whole scheme from collapsing and paid “profits” to early investors with money that came in from later investors. Yang brought in about $8 million just from EB-5 investors that was supposed to finance, through a loan to another Luca entity, jobs and development costs for eight oil and gas drilling projects. She told these investors that the loan was fully secured, but the Luca entity the EB-5 investors funded not only was submerged in debt, it was never going to be able to repay the loan. Not only did Yang use investor funds to pay other investors, she also diverted $2.4 million in investor funds through her brother’s company in Hong Kong, supposedly to buy an oil rig. Instead, she used that money to buy a 5,600-square-foot home in an exclusive gated community in Fremont, California. She also spent investor money on pool and gardening services, personal taxes and a family vacation to Hawaii. Others charged by the SEC include Luca International’s former vice president of business development Lei (Lily) Lei, who sold securities to investors and helped Yang divert investor funds, and Yong (Michael) Chen, who raised investor funds for Yang through his company Entholpy EMC, which did business under the name Mastermind College Funding Group. Luca International’s former CFO Anthony Pollace agreed to pay a $25,500 penalty to settle charges that he played a small role in the fraud. As part of a related administrative action, Hiroshi Fujigami and his company Wisteria Global agreed to settle charges that they acted as brokers to illegally sell securities of two Luca entities. Fujigami and Wisteria must disgorge allegedly ill-gotten gains of more than $1.1 million and Fujigami agreed to be barred from the securities industry and from participating in any penny stock offering.